HIDDEN ROOMS – IDENTITIES . CITIES . 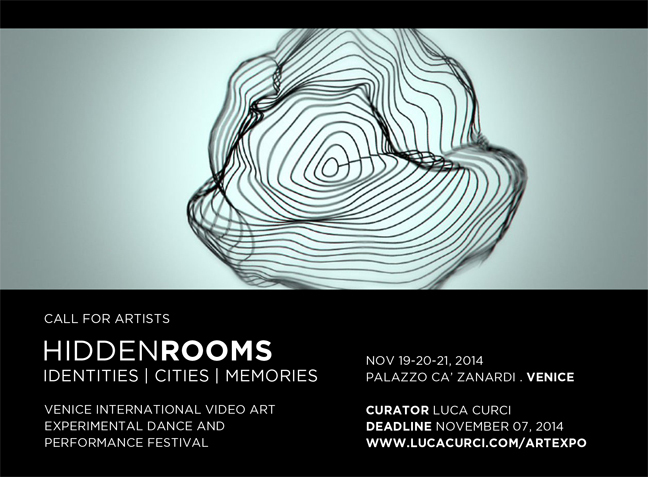 MEMORIES, international festival of video art, experimental dance and performance. The exhibition, under the patronage of the city of Venice, will be held in Venice at Palazzo Ca’ Zanardi, on November 19, 20 and 21, 2014. The event will be part of the festival “Venezia Misteriosa” organized by Ca’ Zanardi and supported by Regione Veneto, Provincia di Belluno, Provincia di Padova, Provincia di Rovigo, Provincia di Treviso, Provincia di Venezia, Provincia di Verona and Provincia di Vicenza. All artists are invited to reflect on the theme and present works related to the main concept or to one of the three sections. For the first time International ArtExpo opens a new division dedicated to the experimental dance to include in its international exhibitions. 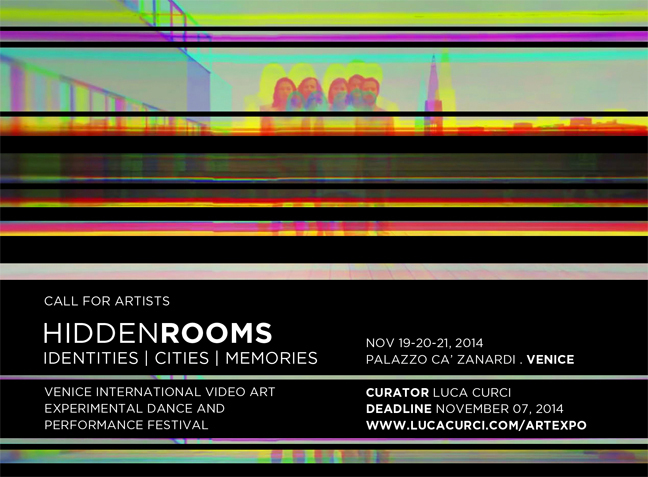 Dancers, groups and schools are invited to submit their works and choreographies focused on the festival’s theme. The event will be curated by Arch. Luca Curci (Founder of LUCA CURCI ARCHITECTS, International ArtExpo and It’s LIQUID Group). The festival’s program will include video art screenings, movies’ projections, live performances and meetings with artists involved. 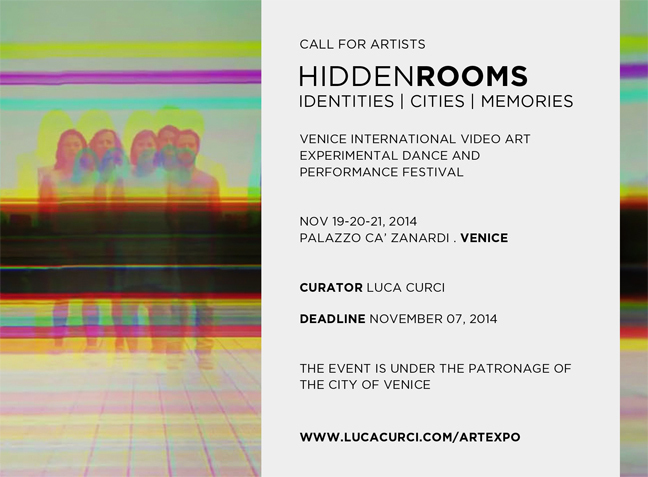 Artists, photographers, architects, performers, dancers and video makers are invited to submit video art works, experimental films, performances art and dance pieces. Palazzo Ca’ Zanardi is a residential palace dating back to the 16th century which, over the centuries, has been added on to by various noble Venetian families and is one of the most evocative and beautiful palaces in the city of Venice. Sumptuous and possessing particular charm, Ca’ Zanardi is located in a most peaceful setting and has its own delightful private garden as well as a magnificent terrace full of sun and colour. Ca’ Zanardi is located close to the Ca’ D’Oro, the splendid 15th century gothic palace along the Grand Canal. It is easily reachable by foot, after a two minute walk from the Ca’ D’Oro water bus stop, or by boat using the palazzo’s private pier positioned along the fetching Santa Caterina canal. The refined elegance of the palazzo’s halls and common areas and the delicacy of its original 16th century furnishings create a fascinating setting. 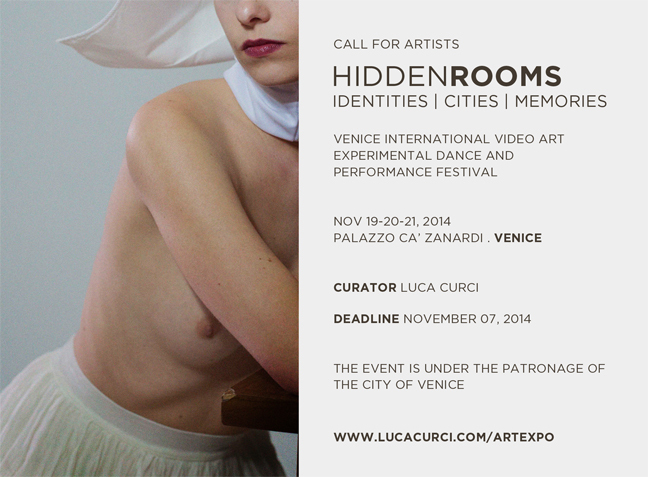 Hidden Rooms – Identities . Cities . 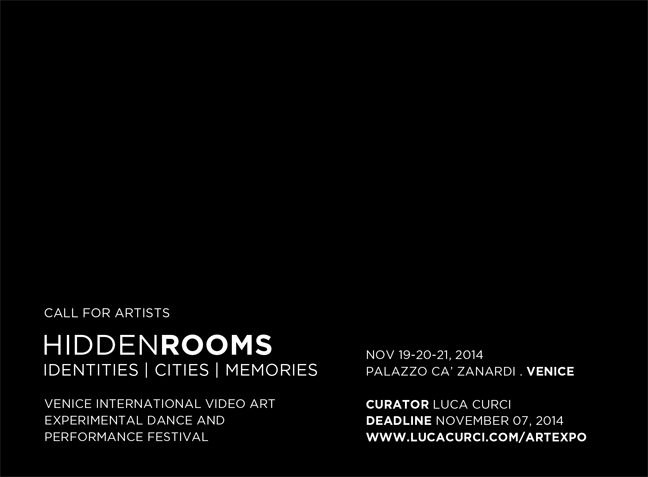 Memories will be part of MORPHOS program (Venice, June – November 2014). If you want to have a solo exhibition inside MORPHOS program send us your proposal and we will get in touch with you as soon as we can.